PriceLabs works everywhere on this planet! You name your city we have our machine-learning algorithms ready to crunch data to build optimized pricing models for your property. PriceLabs models look into all possible sources of demand and supply data to calculate daily base rates to optimize your pricing. 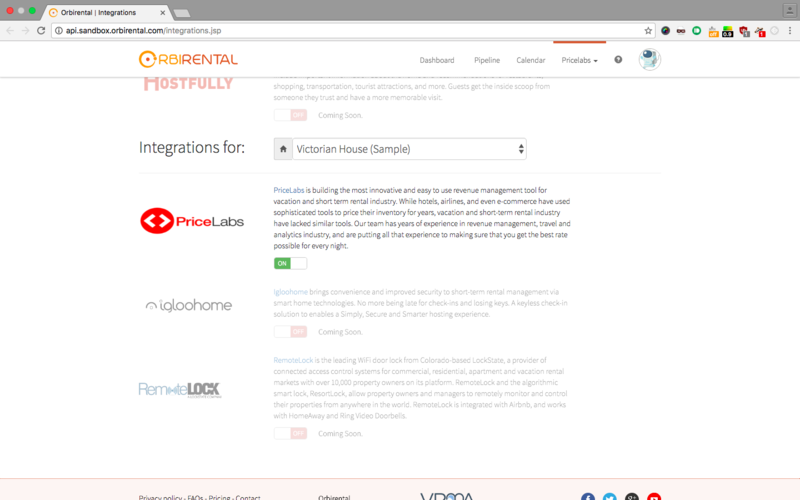 This integration allows Hostfully users to import properties to PriceLabs and see their dynamic pricing instantaneously. You can set your own base price on PriceLabs or see our own recommended base price. Once you are satisfied with the dynamic prices you can “Sync Prices” so that our servers can dynamically price your listings once every day on Hostfully's calendar. 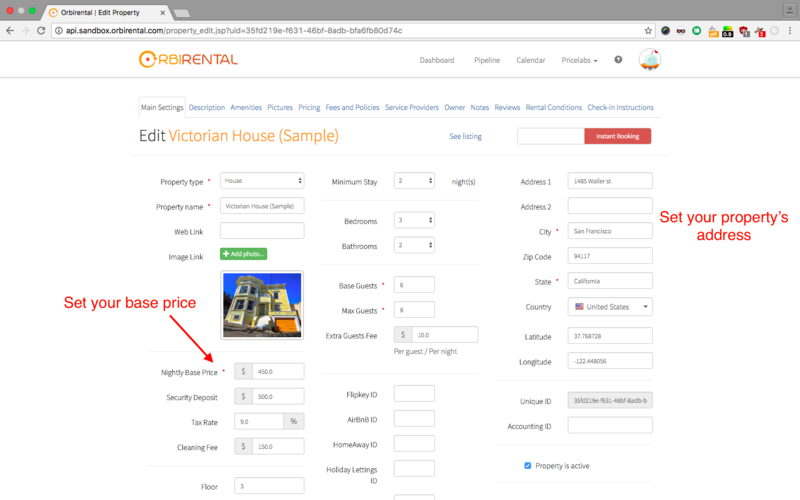 2- Make sure you have set “Nightly Base Price” and address of your property. If you already have an account with PriceLabs then you should see your listings under your account ready to be priced dynamically! There is a delay of 15 minutes to pull your properties into PriceLabs, if you don’t see them mail us at support@pricelabs.co. Once you login at PriceLabs, you will see a dashboard where you can see all your listings and their health. 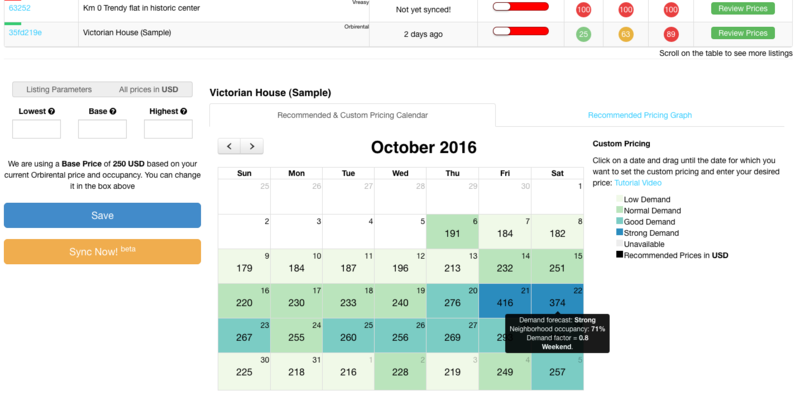 Health of listing shows, how is a listing getting booked; green indicates a good health, orange indicates a moderate health and red indicates that you aren’t getting many bookings. Click on the green “Review Prices” button across the listing to see your prices, first try of a listing usually takes some time so please be patient as we fetch our data and build your dynamic pricing. You can review your prices and see what base rate we have calculated. If you feel your base rate should be a different value then go ahead and enter your base rate in the input boxes provided and click on “Save”. Enter any minimum and maximum price, if required. You can choose to “Sync Prices” once a day or if you are eager to see them on your calendar then use our “Sync Now” feature to immediately sync your Hostfully calendar with our prices. After a day or two, you can “Base Price Help” feature of your listing that will help you decide what is a good base price. You can ready about it in detail here. You can also understand your market by generating “Market Intelligence Reports” that will give you an insight of the vacation rental industry with hotel occupancies. You can read about it here. 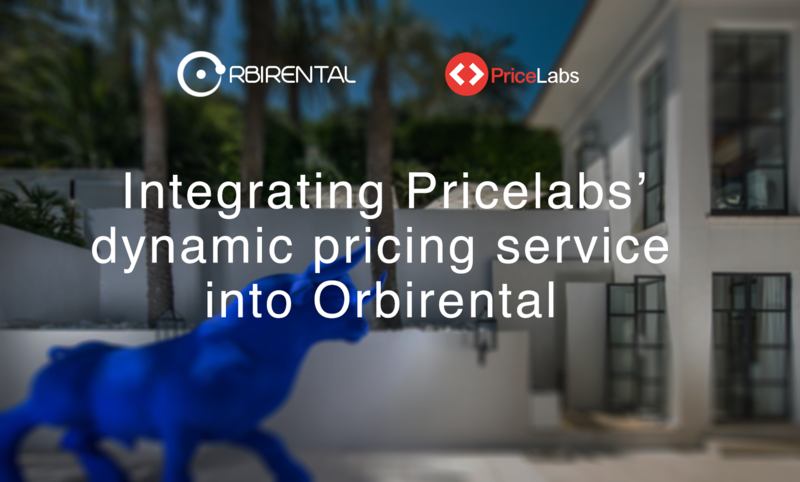 If you have any questions about how to use Hostfully with your PriceLabs account, please send an email to info@orbirental.com. Do you want to learn about PriceLabs? Please email support@pricelabs.co.